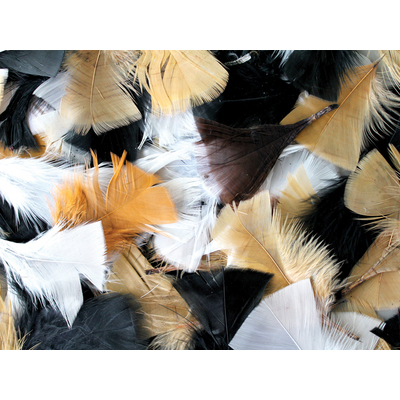 A creative way to launch conversations about different breeds while working well as a crafting resource, our Gompels Feathers Assorted Natural make a brilliant addition to any Arts and Craft collection. Supplied in a bumper pack of 50g, this soft plumage is easily affixed to paper or other crafting projects with traditional adhesives and will stand proudly in any dress-up box. Easily stored for future use, these versatile feathers can be paired with our coloured versions for an exciting and unique crafting session that promises to delight. Our Feathers are also available in multicoloured packs depending on your needs. Gompels stock a wide range of Arts & Crafts resources from Glue Sticks through to A4 White Card and much, much more.